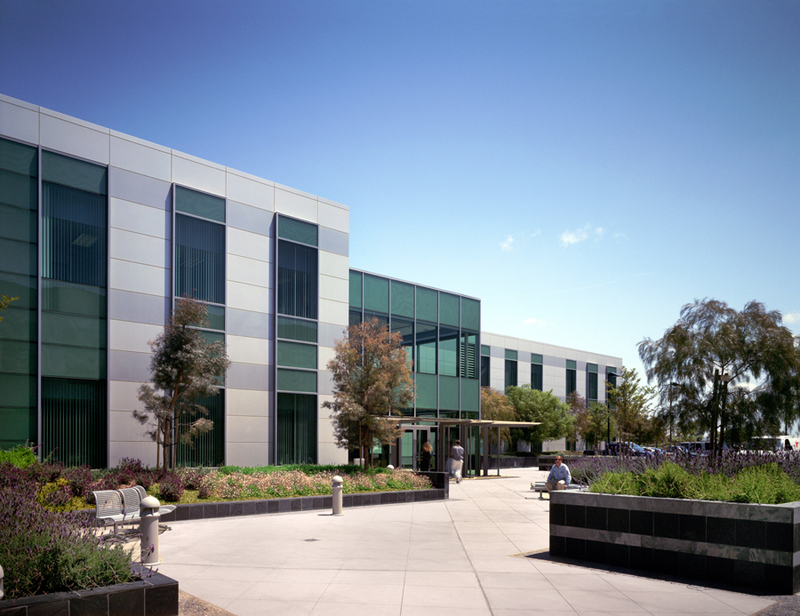 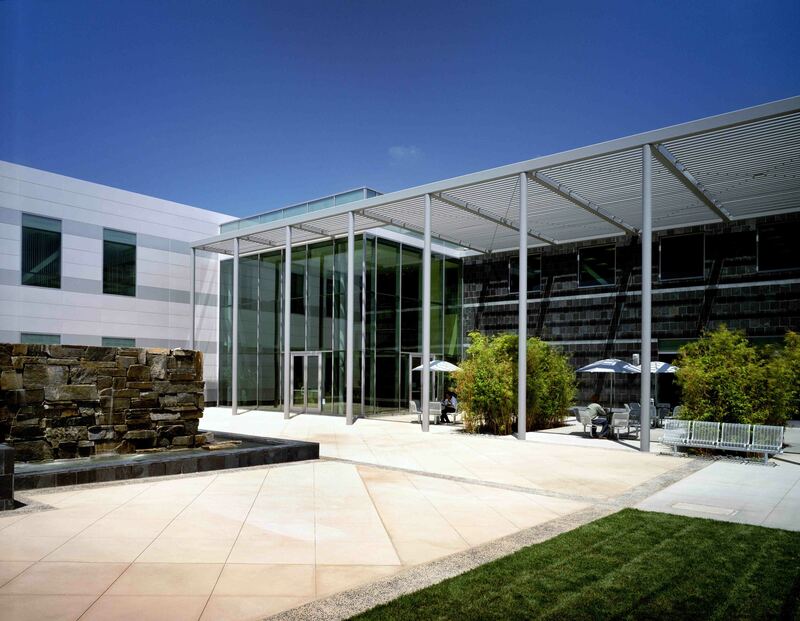 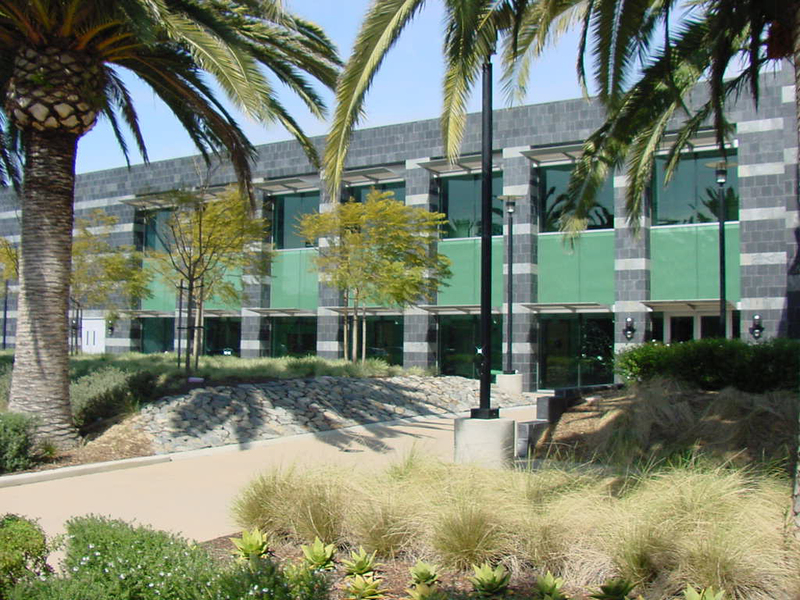 Slough Estates USA, Inc. commissioned Delawie to master-plan a six-building campus at the Torrey Pines Science Park in La Jolla, California. 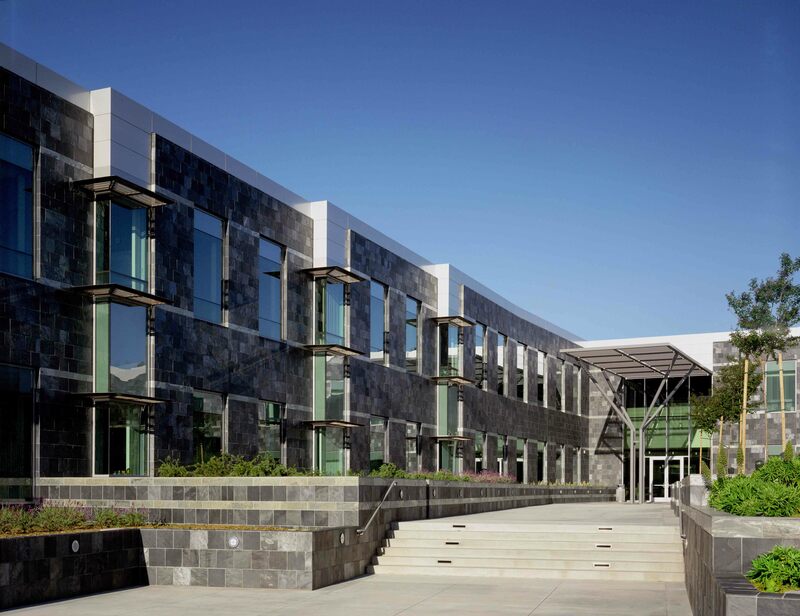 In collaboration with Design Architect Zimmer Gunsul Frasca Partnership, the design challenge was to invent a new type of highly collaborative environment to house over 1,200 of Pfizer’s Research & Development Center employees. 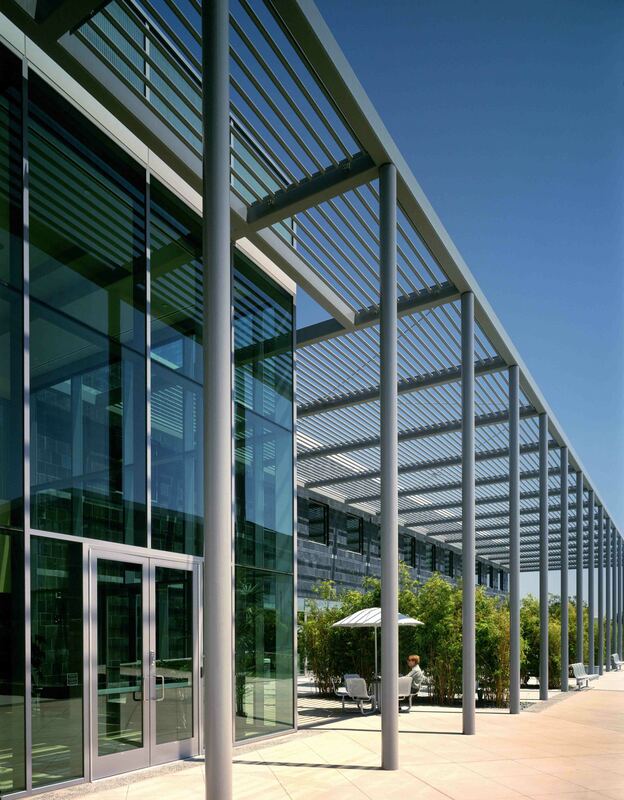 The exterior skin weaves metal panels, charcoal slate, and high performance glass into alternating patterns, providing continuity across buildings of varying geometries. 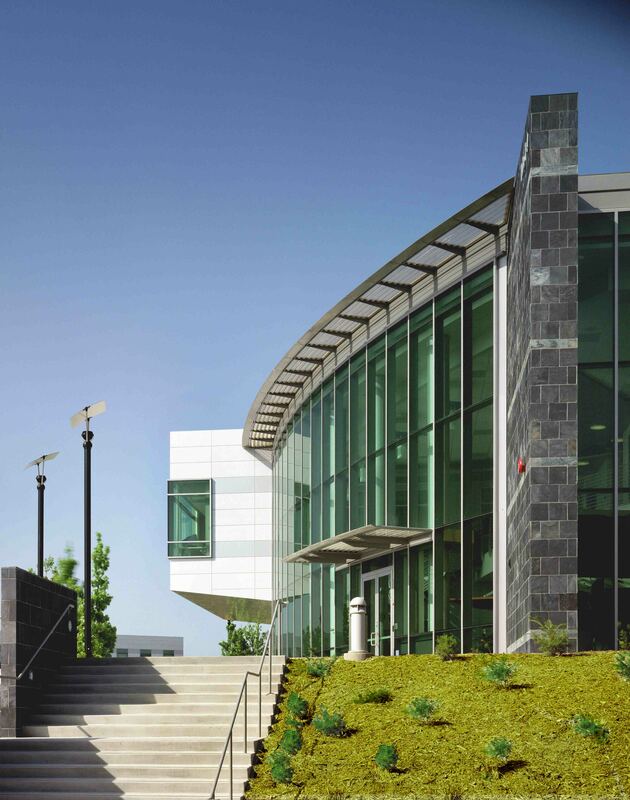 While the buildings share many details, each has a unique signature element and individual identity.